Dun Dun Duuuuun. Way too dramatic I know. Today I wanted to start it off by having a little chat about some things I've noticed, changed and discovered about my skincare routine, as I found things just weren't working quite as well as they once had. But I came to realise that if I applied my spot treatment and eye cream before my serums then they would be first to absorb into my skin and wouldn't have to work harder to get through layers of other products. The same with my oil, if I applied if before my moisturiser, the oil will absorb and the moisturiser will be my last step to lock everything in. Mind blown. Amazingly I saw results immediately. My spots were reduced dramatically overnight and within a week they were a distant memory. When I really think about it, I don't know why I didn't think of this sooner and am actually quite disappointed in myself (see I don't claim to know everything about skincare and a lot of it is trial and error to get to know my own skin), but rather than having layers of products to work through to get to the targeted areas. Cleanse, Chemical Exfoliator, Facial Spritz, Spot Treatments, Eye Cream, Serum, Rosehip Oil, Moisturiser, Facial Spritz. 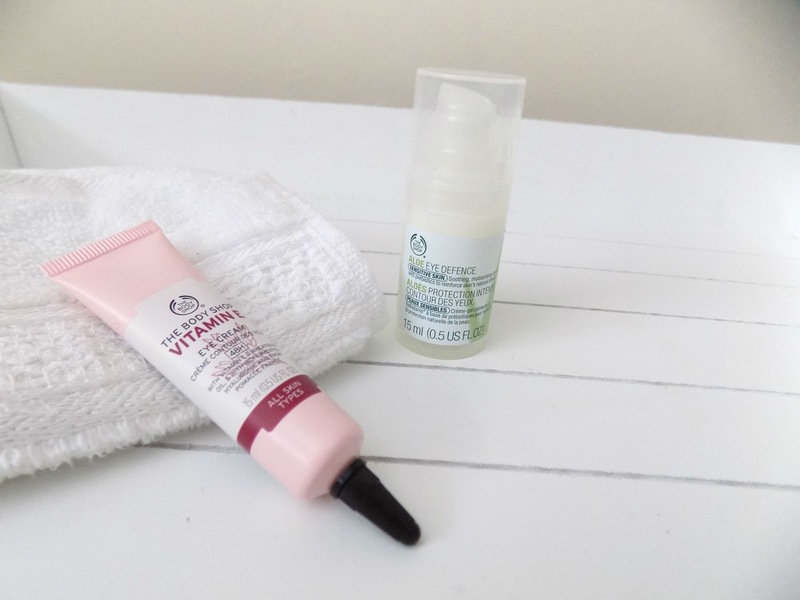 Next I wanted to talk about the new additions to my skincare routine that I am trying out and really enjoying. 1. 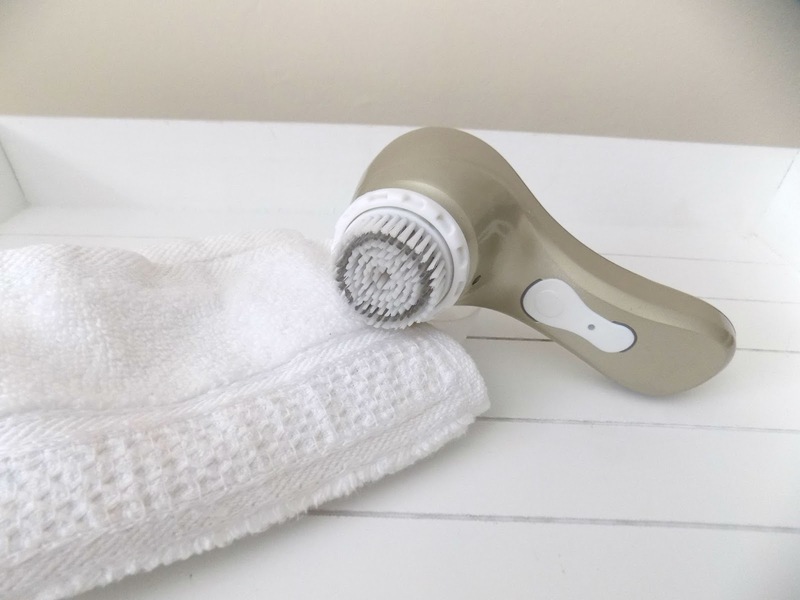 A cleansing brush has never been of interest to me, but after seeing so many reviews and routines about all different types of cleansing brushes I decided to give one a go. I picked up the Magnitone Bare Faced Cleansing Brush as I got a really great deal and so I thought it was the perfect time to invest. I have only been using it a little while but I am keeping daily inserts on how my skin has looked and felt and will update you after 30 days to give my final review on what I think and if it's worth it, so far so good though. 2. 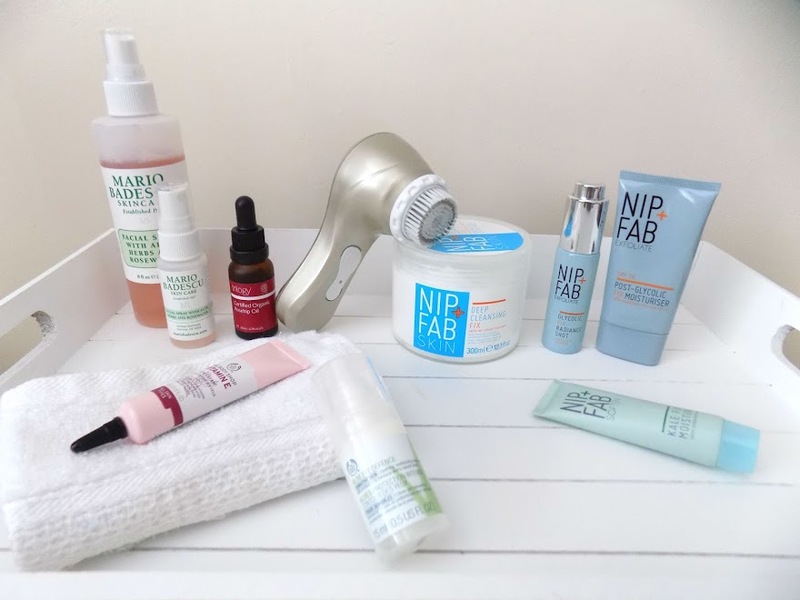 Along with the mix up in how I apply my skincare products, I have also added a couple extra things and am trying some new Nip + Fab products, a review will be coming up soon. The main difference is a Rose Water Spray from Mario Badescu that I have been really enjoying. I've lost count how many times I spray this on my face, but it feels so good I can see myself going through the full size in no time. I like to sandwich in my Mario Badescu Rosewater Spray as I just love how refreshing and moisturising it is and I've even purchased the full size because I used the travel one up in a week. I've also added Rosehip Oil which I'm mainly using for fading scars and restoring the skins natural barrier and also to hydrate and nourish my skin. 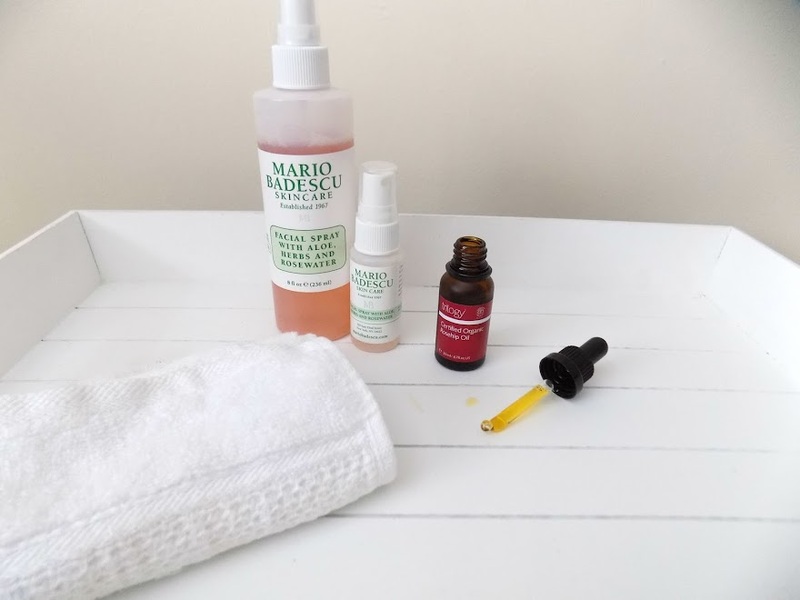 Again so far I am really enjoying it, but a whole post on the benefits of Rosehip Oil will be coming up soon as another instalment of The IABT Guide to Skincare. 3. 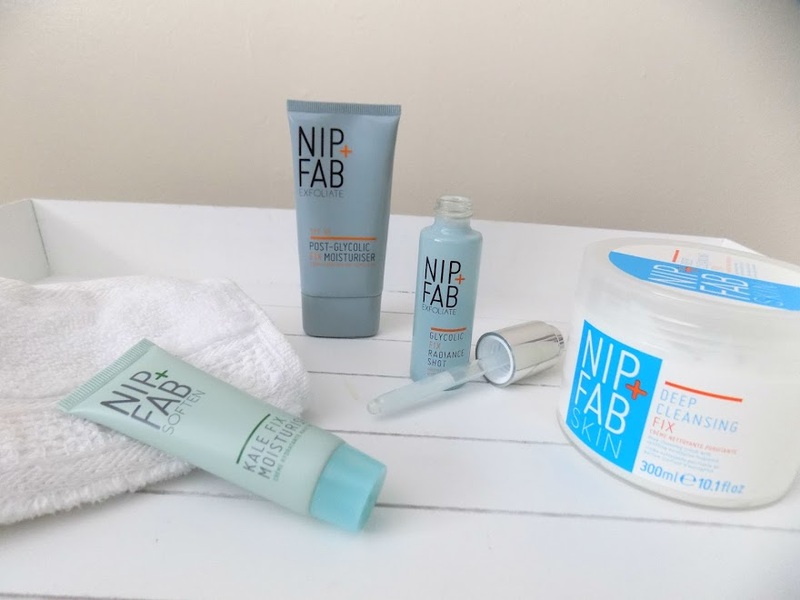 As for the new Nip + Fab products, two are new releases of the Glycolic Fix range which you all know I absolutely love. The Glycolic Fix Moisturiser with SPF30 is a moisturiser specifically designed to be used after Glycolic Acid products. It's incredible how soft and velvety smooth my skin feels, as there are Silica Micro-Spheres to smooth everything out and Witch Hazel to soothe and calm the skin. I am really enjoying it so far although I've not sure if it's giving my skin enough moisture. They've also released a whole range of Skin Shots and the one I got is obviously the Glycolic Fix Radiance Shot but I may try out some of the others because they sound really great for the skin and I already love the brand so am keen to try the other ranges they carry. Another new product I've been trying from Nip + Fab is the Deep Cleansing Fix and this is a cream cleanser in a tub that gets your skin super clean and also helps with blemishes, it's said to melt away makeup and lift impurities to leave skin fresh and clean but still comfortable. I massage this in to my skin, and then go in with my Cleansing Brush to deep clean my skin. Let me tell you my skin feels so soft and smooth and clean afterwards it's amazing. 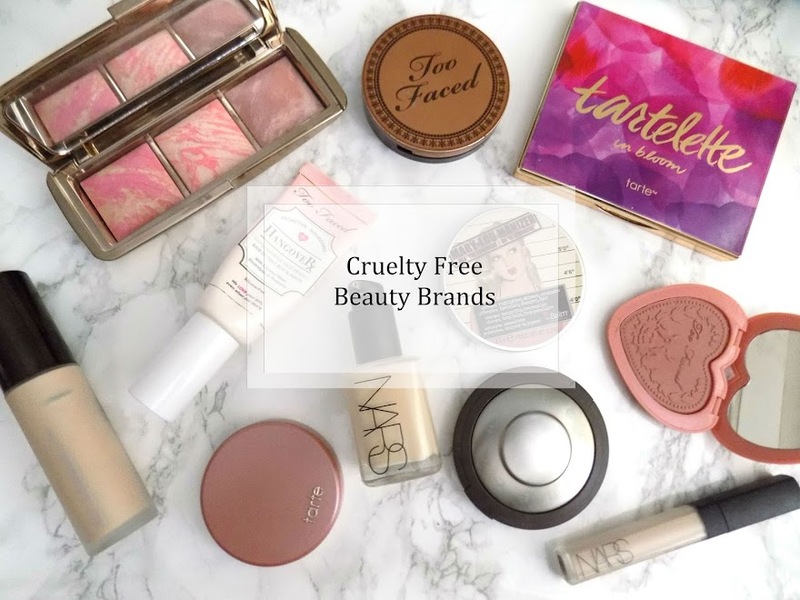 A full review of these products and my overall thoughts on them will be up very soon. Although new to my routine, the Kale Fix Moisturiser is a product I received in a previous beauty box (I don't remember which one) and I have just started to use it. Although I'm not massively keen on the scent, the level of nourishment and the instant moisturising boost it gives to my skin has made it worth a few seconds of a not so nice scent (in my opinion). 4. My eye area tends to get dry and I have fine lines so it's difficult to apply concealer that doesn't emphasize this. But I like to start the whole process off with a good eye cream. Now I've tried some in the past which I've really liked, but unfortunately, they just didn't wow me when it came to applying my makeup. It still looked dry and my fine lines were very visible and it just didn't look good. So I picked up a couple different eye creams from The Body Shop, the first being the Aloe Eye Defence which is a soothing and moisturising cream gel type texture that also helps reinforce the skins shield. I really like how light and cooling this is around my eyes. I tend to use this in the morning before my foundation, and I sometimes use it at night to give an extra boost to the other eye cream I picked up. Which brings me on to the Vitamin E Eye Cream, and I have to admit I'm not loving this one as much as the Aloe one. It is more of a cream texture, but it doesn't feel as moisturising and like it's doing much because as soon as I put my fingers together to apply it to my skin it just doesn't feel like anything and I don't really feel the effects of it, hence why I top it up with the Aloe one. It says it has Hyaluronic Acid, Vitamin E and Wheatgerm Oil so I would expect it to be a great eye cream, but at the moment it doesn't feel like much at all. But I will keep you updated and I may even do an instalment of The IABT Guide To Skincare: Eye Creams to give you some of my thoughts on why they're important, which are good and which aren't. I really love the condition of my skin right now. Spots and blemishes are basically all gone, my skin is glowy and looks so healthy, there's no irritation or bumps and overall my skin is feeling very soft and smooth, my skin has changed for the better and I only hope for it to continue doing so. If you like the idea of this little series then please let me know of any topics you want me to cover or any questions you have about skincare or skin related stuff.